To start the party, we would like you to create a card or project with something totally GREEN! Your project MUST include Michu and Ratiny, and it must be GREEN! And please link your post here by Monday 15th March, 2010 at 11:59pm EST. Then you will vote for the winner, and the poll will be open until St Patrick's Day (Wednesday) 17th March, 2010 11:59pm EST. The winner will become our guest designer for the first 2 weeks of April!!! What are you waiting for? go to make your card! 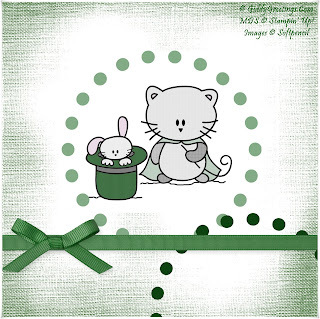 Happy digi-stamping and St. Patrick´s Day!! !